Well today is the Royal Rumble. So many are speculating on who will the surprise entrants be this year. Here is what we know so far. Kelly Kelly was spotted in Philadelphia. As well as The Undertaker and Michelle McCool. All three of those superstars were on the RAW 25 special. The Bella Twins are also backstage for tonight's event. Both sisters have been teasing an in-ring return. Ronda Rousey is still rumored to be a surprised entrant tonight. Stephanie McMahon also hinted at an in-ring return. The other far fetch option that has been picking up more steam is CM Punk. David Shoemaker of The Ringer picked CM Punk as his Royal Rumble winner. That only added fuel to the fire. It's still a long shot but it would definitely be cool to hear "Cult of Personality" again. Tonight should be very interesting. Follow @ZWrestleTalk on Twitter for updates. Brian Campbell of ESPN.com broke the news that Kurt Angle will be inducted into the WWE Hall of Fame. Angle found out the news today also. This is exciting news for wrestling fans as the former Olympic gold medalist and six-time WWE Champion will be returning home. The news is surprising since Angle has spent years with TNA. 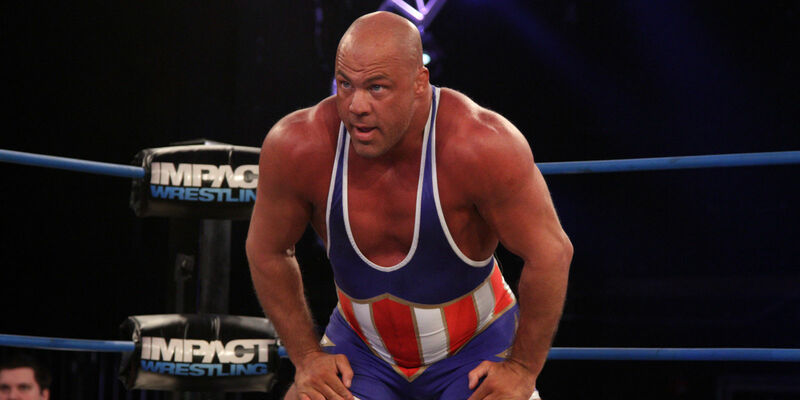 Also that Kurt Angle is still an active competitor and wanted a return to the WWE. This may be his return. Now let the speculation begin about one final match at WrestleMania. Although Angle said his new WWE deal doesn't include a WrestleMania match. Angle also mentioned that they haven't talked about any "wrestling"
It's great to see WWE bring back and put together some broken relationships. Congrats to Kurt Angle for being inducted into the Hall of Fame. ​Follow @ZWrestleTalk on Twitter for more "Breaking News"
Which Wrestlers Were Cut From WWE Latest Video Game? According to GamesRadar.com, WWE left off ten characters from WWE 2K17. Leaving off Bad News Barrett, Damien Sandow, and Adam Rose is a no brainer for WWE. 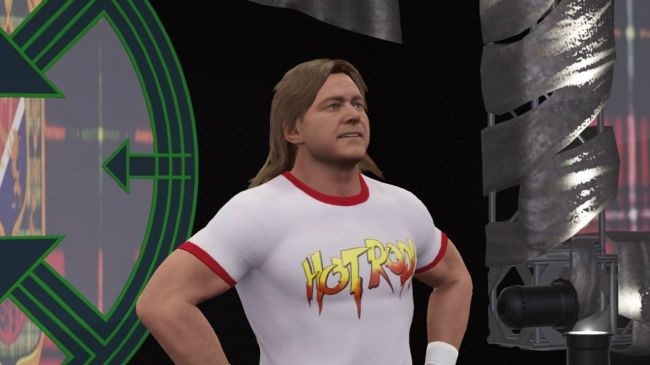 Here are the ten wrestlers who were left off of the WWE 2K17's roster. This list is shocking from not having beasts like Batista and Ken Shamrock to disclosing legends like Roddy Piper and Sgt. Slaughter. Maybe some of these character will come out as DLC for WWE 2K17. It is interesting to see WWE leave some of these names off their roster. WWE 2K17 hits stores October 11. ZWrestleTalk Hall of Fame: Vote for the Second Class of Hall of Famers! After last years ZWrestleTalk Hall of Fame voting concluded it was overwhelming the amount of support for now ZWrestleTalk Hall of Famer Owen Hart. Now this year the power is back with the fans, you decide who gets into our HALL OF FAME! Are you always depressed with the WWE Hall of Fame? Are you sick of seeing The Godfather or the Bushwackers get into the Hall of Fame before the Nasty Boys and Owen Hart? Here is your time to decide who should be in the Hall of Fame. The ZWrestleTalk Hall of Fame will put in anybody who has competed in a wrestling ring. Just remember when your about to put down a name. Determine if this wrestler is a HOF by these categories. Now vote for who should be in the 2nd class of the ZWrestleTalk Hall of Fame. I'll pick the top three. According to the Wrestling Observer Newsletter, the WWE is currently exploring its options on doing more Live Event specials for the flourishing WWE Network. They are looking for a Beach event similar to the ones WCW did back in the day with "Bash at the Beach 1995". The other option being explored and could already be confirmed is a London special event. WWE is just currently waiting to see what beaches they can get. This event would be a big step for WWE signaling that they are becoming more focused on "Network Exclusive Events" like Beast in the East. BREAKING NEWS: First Member of the ZWrestleTalk Hall of Fame announced. Are first inductee is somebody who is not currently in the WWE Hall of Fame even though he should be. Won the WWF Championship at a house show. Lost it during the same house show. Owen Hart was a phenomenal athlete. Even more of a phenomenal Wrestler. Now its time he is the inaugural inductee in the ZWrestleTalk Hall of Fame. KEEP VOTING FOR MORE INDUCTEES. ZWrestleTalk's Hall of Fame Voting. Are you always depressed with WWE's Hall of Fame? Do you wish some of the most gifted Wrestlers should get in? Now its your time to decide who will be in the Hall of Fame. This year over WrestleMania weekend we will reveal the Hall of Fame class. You can list your top 5 names down. Only requirement is 4 male wrestlers and one female wrestler. It's your time to decide. Who do you want to see be in this years ZWrestleTalk's Hall of Fame the power is to you! ZWrestleTalk's Hall of Fame . Vote in the box. I hope all of you enjoy this new concept. It's now your time to decide who makes it and who doesn't. For some extra tips. Look at the Wrestlers, Popularity,Skill,Championship reigns, and many other things come into play to get a Hall of Fame induction. I was just informed Sting has signed a deal with WWE in the last 24 hours. I still think personally he will show up after Mania since it seems like Undertaker vs Brock is what they are aiming for. Reminds me when everyone thought Brock would debut in Miami but they waited for Raw. There has been many reports in the last 24 hours that Sting has signed with WWE. So this time it might be true. Follow @TripleZ_87 @ZWrestleTalk on Twitter. According to Wrestlezone.com and Phil D a commenter that made me research farther into this. The producer of the hit shows "Survivor" and "The Bible", Mark Burnett has another project up his sleeves and this time it involves wrestling. Burnett is bringing a Lucha Libre show to the new El Rey Network, The show will be created by Robert Rodriguez. The show will be a hour long and will be debuting by the second half of 2014 and now are Burnett's thoughts on the project. "Starting this business with a new television series on a cutting edge network like the el rey network and it doesn't end there. Wrestling is a billion dollar business in the U.S, and with partners like Robert Rodriguez, Lucha Libre AAA and the rest of our great team, Our new lucha libre league will make the market better. " So now here's the thing to think about 2 companies are ready to come out with the possible Jarrett and Keith promotion and now Mark Burnett's Lucha Libre promotion, TNA will now be doomed. Im now quoting phil d here but " Mark Burnett can tell a story" and now that they have a creative person in there wing they will see success. Also Im a huge fan of Survivor and I won't be surprised if Mark uses Survivor to find wrestlers and athletes. Im excited for this and I think a lot of people are!